You can’t have a million dollar dream and a minimum wage work ethic . Friend sent me this and just had to share . 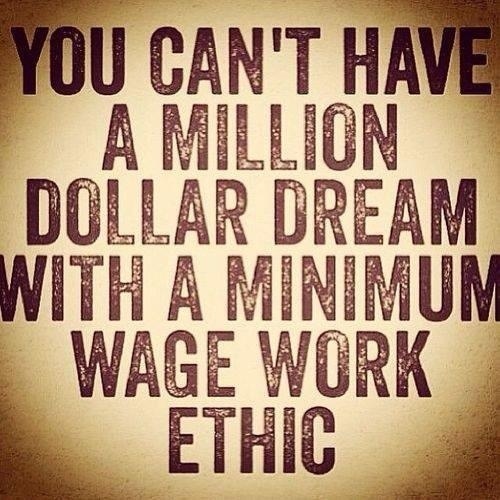 You can't have a million dollar dream and a minimum wage work ethic .